Cate Madigan isn't asking for trouble. Her wacky Irish family is constantly playing matchmaker for her with men who leave much to be desired. All she wants is peace and quiet and a nice place to live while she saves her money from tending bar in a lively Boston pub. So what if her roommate is a cross-dressing lounge singer named Marty Longfellow? Stephanie Lowe decides Maine schooner captain and pirate descendent Ivan Rasmussen deserves to be called Ivan the Terrible. The house she just bought from him is falling apart and possibly haunted. He complains about her fish-eye stew and burnt chocolate chip cookies. He makes fun of her hair after she's had to comb it while using a toaster as a mirror. And on top of all that, he has the nerve to be charming, handsome, and overboard in love with her. This is one pirate captain who is determined to acquire the treasure of a lifetime. 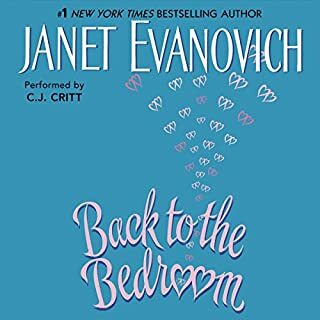 ©1989, 2005 Janet Evanovich (P)2005 HarperCollins Publishers, Inc. I'm so sorry that I paid for this listen. 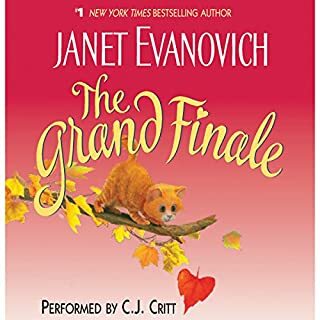 I would normally get this kind of fluffy Harlequin-type romance free from the public library but it's Evanovich and I expected better. I agree that the reader does not do the story justice; in fact, she is driving me nuts. But I am also frustrated at how many times the author repeats the same appositives -- like she is writing for a readership with short term memory loss. If this is your first outing with Evanovich, start elsewhere. This is not her best. In general, I find her stuff delightful and always a safe choice when I'm looking for light and light-hearted reading. This one just didn't click for me. 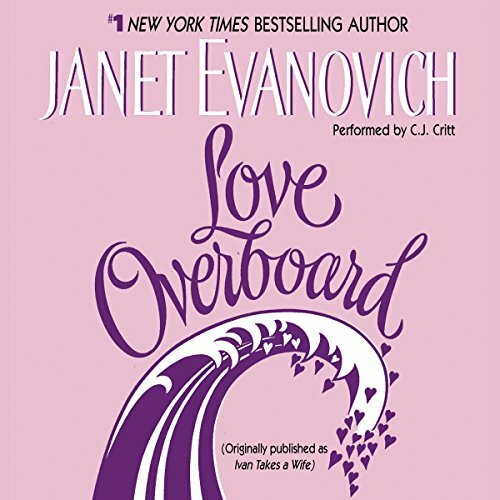 Love Overboard is a quick, fun listen! Evanovich amazes me with the quality of the books she turns out. I do wish she would use a different narrator though, Critt's voice is annoying and difficult to take seriously. I'd recommend this book to someone looking for a fun fluff read. If this book were a television show it'd be a good sitcom. What does C.J. Critt bring to the story that you wouldn’t experience if you just read the book? C.J. Critt is one of my favorite readers. She does such a great job of communicating all of the different nuances of the characters she is reading. I actually selected this book because I had just recently completed listening to another book she read. 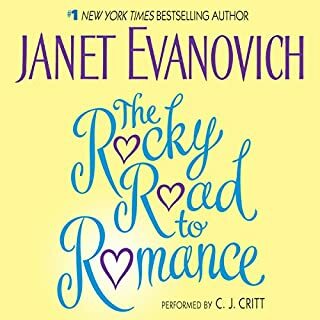 Critt & Evanovich keep me laughing! After reading all of the Stephanie Plum series I have to disagree with the other reviews. I have listened to the Abridged versions with celebrity readers who don't do the books justice. It was a nice read while I wait for the next Stephanie Plum book. The reader knows the author so well! The story is perfect Evanovich, but the reader is completely wrong for the story. She mades Stephanie seem old and goofy, not the character projected in the book. Her tone doesn't match the moods of the scene at all. 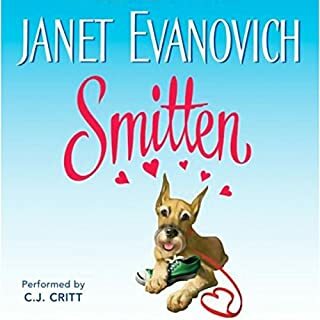 I love the way Janet Evanovich can make hard stressful moments seem so easy and light- hearted. She is very talented and writes go wholesome romance novels. This one is no different. I smiled and laughed and completely enjoyed it. 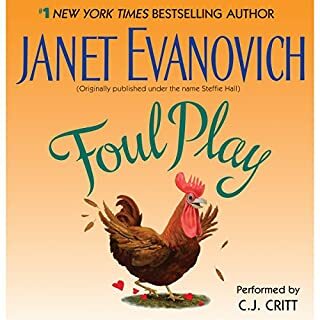 Typical Janet story with mystery and quirky antics.The narration good for this genre of story.It was a bit over the top with the extent their friends and family went to get together Ian and Stephanie.Alot of mess and mayhem.A bit outlandish and improbable for reality. Not her best short story. Little draggy and not as entertaining as her others. Oh well can't all be great. fun, light story. this is a comedy. this is for a non serious , silly, happy ending kind of day. I enjoyed the story and the narrator. An early effort by the author who has a real knack for comedy. And character development. If you are looking for a fun and easy listen, this is a good choice.